For Argentina and its vicinity, we're showing you all of the registered pools, some of them have no GPS coordinates and cannot be discovered on the map at the map. 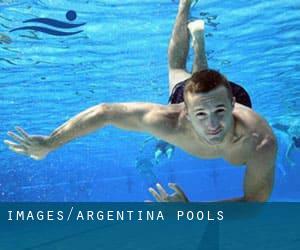 If you are looking for Argentina Pools, it is beneficial to know quite a few of them belong to gyms or sports centers which also give lessons. Get informed by calling the premises. Do you know of any Pools in Spain that needs to be listed here? Contact us!. The very best choice during your visit to Argentina will be droping by a Argentina Swimming Pool. 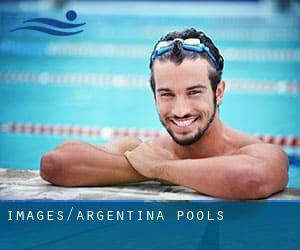 Please use the contact information supplied at each pool profile to check if they are offering aquagym lessons, simply because just isn't so frequent to see an Aquagym in Argentina. Please get in touch with the sports center in Argentina to check which activities are being supplied and their timetables, because Argentina Pools could possibly have different rules and fares than other locations. There are numerous reasons why you'll want to choose a heated swimming pool in Argentina. The most necessary a single relies on the importance of keeping the body temperature stable. When the water is too cold, your body will try to warm it up and you will shed strength to swim effectively. One with the advantages of outdoor swimming in Argentina could be the possibility to sunbathe throughout the summer season. Taking it with extra care, sunbathing is healthful given that introduces Vitamin D into the body, so the very best option seems to be switching in between indoor and outdoor pools depending on the season. Enjoy the best indoor pools in Argentina and don't worry about the weather. These facilities are open all seasons and you can enjoy a swim at the same temperature every day of the year. Holding an estimated population of 1.428.214, Córdoba is one of the most important cities in Argentina. Check all of the Swimming Pool in Córdoba and its surrounding area. Without a shadow of a doubt, swimming in Rosario is the most effective technique to unwind after perform. Take a couple of minutes to browse Swimia's catalog to find a Pool in Rosario. Whereas Mendoza is one of the six most populous cities in Argentina with nearly 876.884 residents, you shouldn't miss that one if you're going to Argentina. Swimming is usually a great thought to keep your body active throughout your visit to Buenos Aires (Argentina), or even if you are a local. Swimia assists you to locate your closest Swimming Pool in Buenos Aires. Avenida Independencia , Mar del Plata , Buenos Aires (Postal Code: 3030). Swimmers like you reported 25 meters, 6 lanes, Indoors. Unfortunately we do not have the e-mail address of this Swimming Pool, but we can give you the phone number. Updated on 2019 Paraguay 2060 , Barrio Norte , Buenos Aires , Distrito Federal (Postal Code: 1121). Swimmers like you reported 25 meters, 5 lanes, Indoors. Phone number and e-mail address are number for this Swimming Pool. Updated on 2019 Ituzaíngo 759 , El Pilar , Buenos Aires . Among all of the activities offered by the center, in case you are keen on swimming you can enjoy 25 meters x 12.5 meters, 6 lanes, Indoors. Just in case you want to get in touch with this Swimming Pool prior to dropping by, we only know the phone number. Independencia 541 , Nueva Córdoba , Cordoba , Cordoba (Postal Code: 5000). Swimmers like you reported 25 meters x 12.5 meters, Indoors. Unfortunately we do not have the email address of this Pool, but we can give you the phone number. Rodriguez Pena 1062 , Barrio Norte , Buenos Aires , Distrito Federal (Postal Code: Unknown). Among all of the activities offered by the center, when you are interested in swimming you'll appreciate 20 meters x 8 meters, 4 lanes, Indoors. Just in case you need to contact this Pool prior to dropping by, we only know the phone number. 4 de Enero 2011 , Santa Fe , Santa Fe (Postal Code: S3000FHY). Swimmers like you reported 25 meters, 6 lanes, Indoors. Unfortunately we do not have the e-mail address of this Pool, but we can give you the phone number. Rivadavia y Río Paraná , Zarate , Buenos Aires (Postal Code: 2800). This sports center gives 25 meters, 6 lanes, Indoors. For this Swimming Pool, only phone number is number here. Updated on 2019 Juan B. Alberdi 1865 , Olivos , Buenos Aires (Postal Code: 1636). This sports center offers 25 meters, Indoors. For this Swimming Pool, only phone number is number here. Updated on 2019 San Lorenzo 75 , Mendoza , Mendoza (Postal Code: Unknown). Swimmers like you reported 17 meters, 6 lanes, Indoors. Unfortunately we do not have the email address of this Swimming Pool, but we can provide you with the phone number. Updated on 2019 Parque General San Martin , Mendoza , Mendoza (Postal Code: Unknown). Among all of the activities provided by the center, if you are interested in swimming you will appreciate 25 meters, 5 lanes, Indoors. Just in case you want to contact this Swimming Pool before dropping by, we only know the phone number. Av. Fco. Beiró 5175 , Buenos Aires , Distrito Federal (Postal Code: Unknown). Swimmers like you reported 25 meters, 6 lanes, Indoors. Unfortunately we do not have the email address of this Pool, but we can give you the phone number. Updated on 2019 Av. del Libertador Esq. Larralde , Nuñez , Buenos Aires , Distrito Federal (Postal Code: Unknown). This sports center gives 25 meters, 6 lanes, Indoors. Contact information for this Swimming Pool such as phone number and email address are number. Paso de los Andes 385 , Mendoza , Mendoza (Postal Code: 5500). This sports center offers 25 meters, 5 lanes, Indoor/Outdoor. For this Swimming Pool, only phone number is number here. Updated on 2019 Medrano 522 , Almagro , Buenos Aires , Distrito Federal (Postal Code: 1179). This sports center offers 25 meters, 5 lanes, Indoors. Contact information for this Swimming Pool for instance phone number and email address are number. Los Vascos 729 , Parana , Entre Rios (Postal Code: 3100). Swimmers like you reported 25 meters, 8 lanes, Indoors. Unfortunately we do not have the email address of this Swimming Pool, but we can give you the phone number.